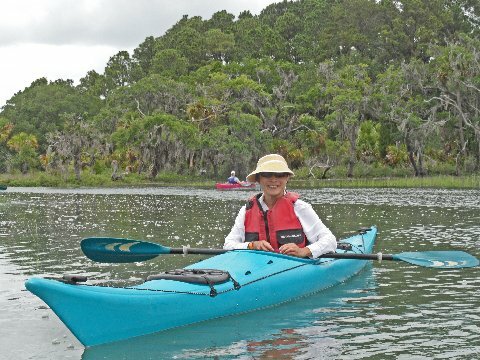 Jarvis Creek Water Sports & Coastal Discovery Museum kayak tours have a long history providing a fun, educational & adventurous kayaking Eco-experience in Jarvis Creek. 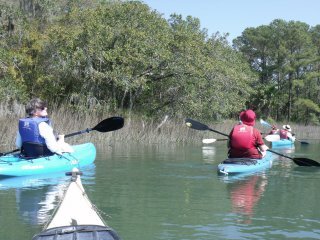 Jarvis Creek Water Sports and the Coastal Discovery Museum Kayak Tours ((843) 689-6767 call for reservation) have been working together for years to help provide an educational kayaking experience for beginners to experts. 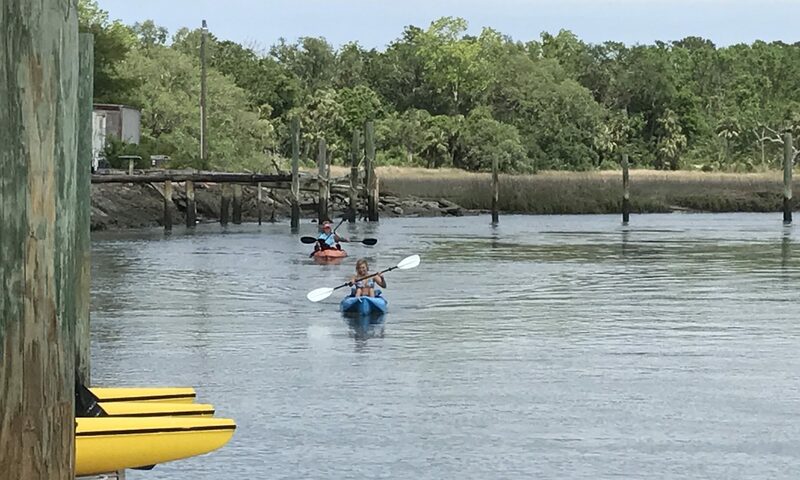 When you are on vacation in Hilton Head, you may like the feel it is just you, your family and / or maybe a few friends, not part of crowd in activities. 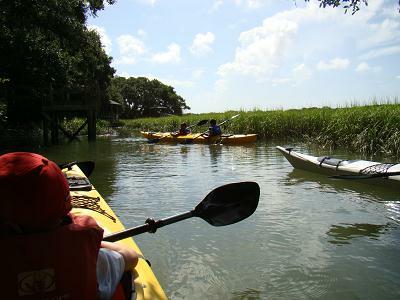 The Jarvis Creek Water Sports / Coastal Discovery Museum kayak tours are small groups providing a more personal feeling type of kayak tour which takes a minimum of three people and up-to ten people on average. 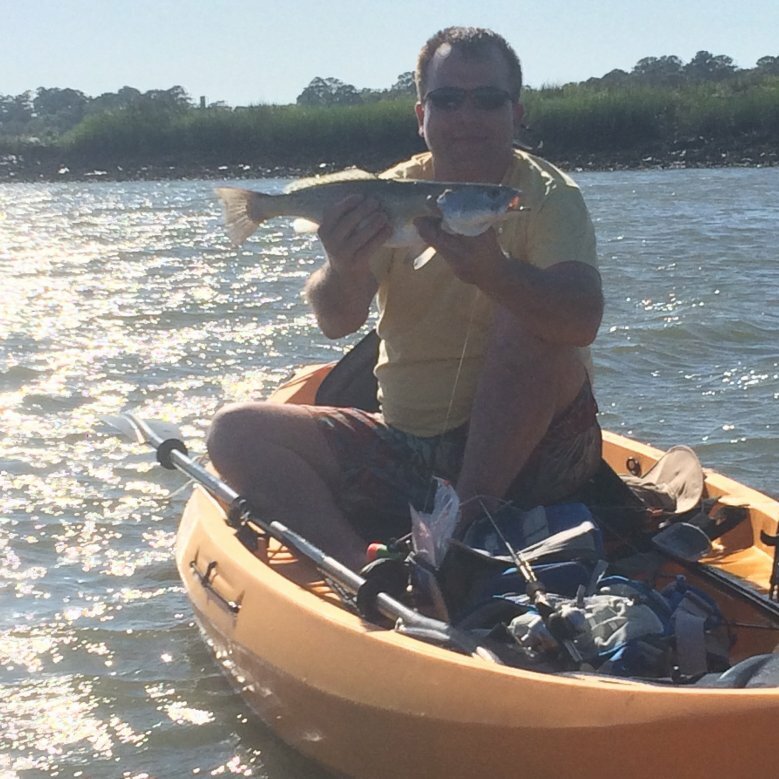 An enjoyable paddle in among one of Hilton Head’s sheltered estuaries. 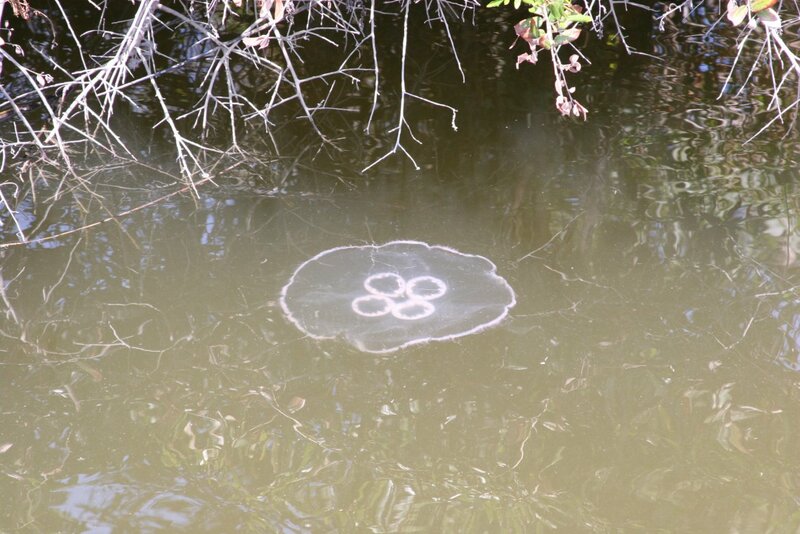 Our kayaking excursion was a mini-eco tour. The guide was very knowledgeable and provided a great narrative. 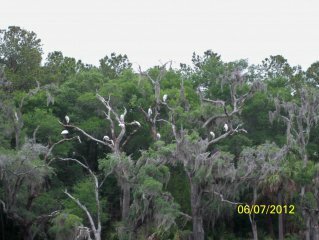 The highlight was nearly a dozen wood storks (endangered) roosting in a tree. Tip: wear old sneakers that you don’t mind getting soaked. Also, you may get a little wet if you end up with paddles that don’t have drip guards. Coastal Discovery Museum Kayak Tours sizes are between 3 and 10 people. For family / group tours over 10 people , special arrangements must be made in advance. 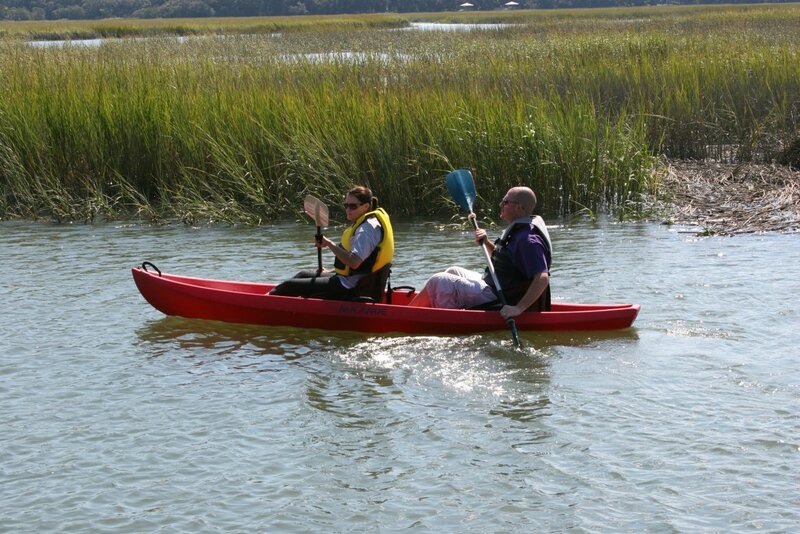 The Coastal Discovery Museum kayak tour’s price includes kayak or canoe, paddle, life jacket and guide. “By Appointment” is first call, first reserved times = first served and additional groups maybe added / combined to tour to fill a tour. 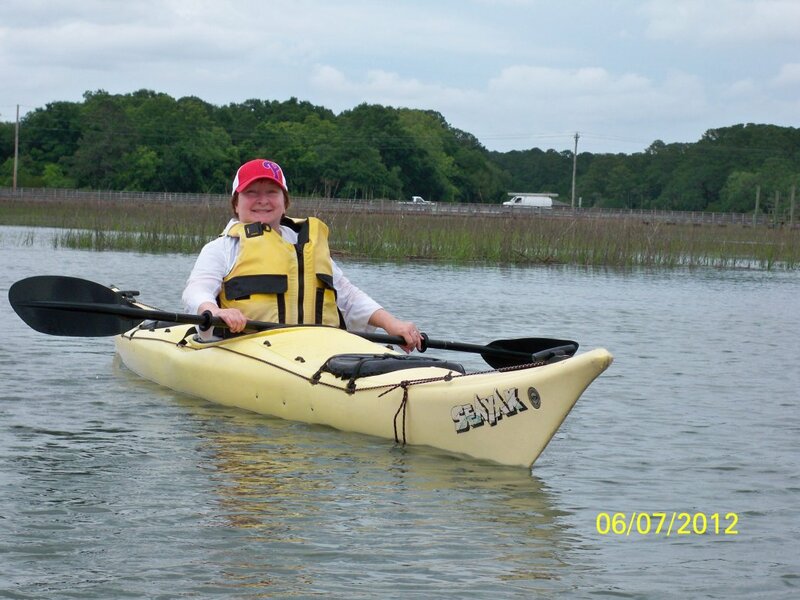 When you sign up with the Coastal Discovery Museum kayak tours, part of the proceeds go to the museum operations. 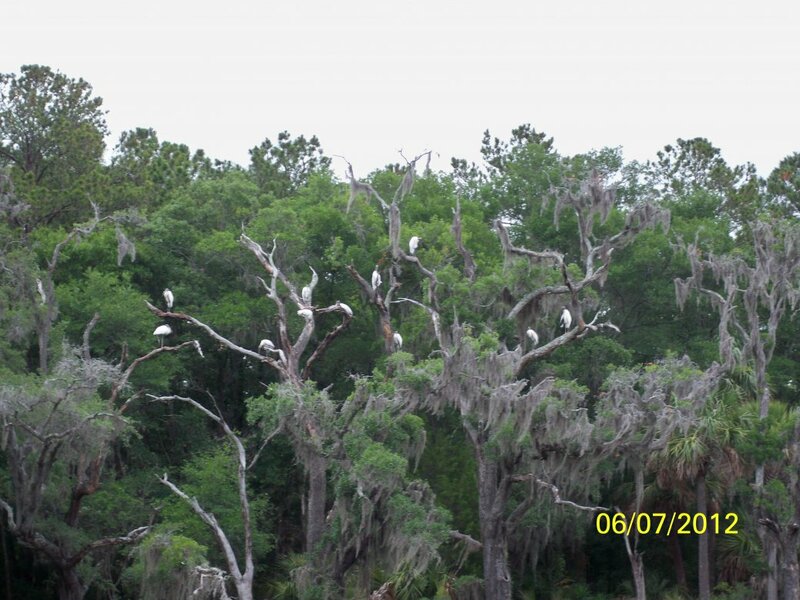 Opened to the public in 2007, the 68 acre historic Honey Horn property has a history dating back 300 years and is described as the last significant parcel of open space on Hilton Head Island. 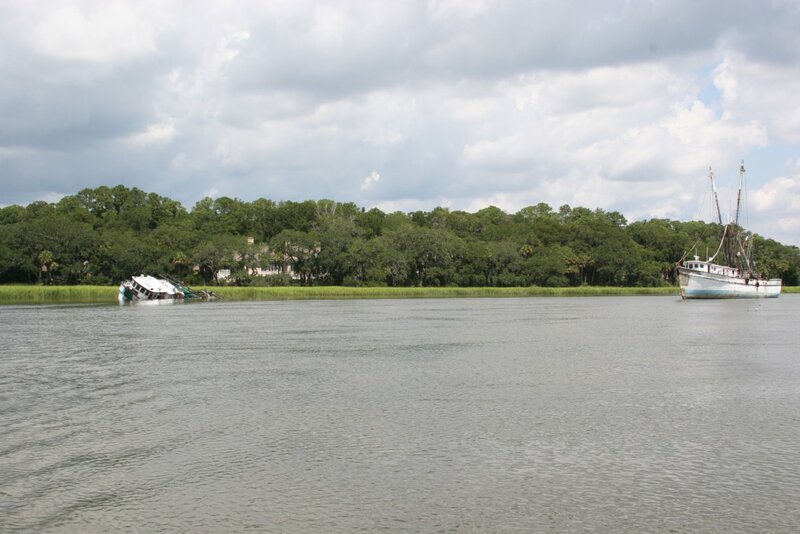 This majestic visitor friendly venue consists of salt marshes, open fields, stands of centuries old live oak trees, the State’s largest Southern Red Cedar tree dated at 1595, and a collection of some of the oldest buildings that exist on Hilton Head Island. 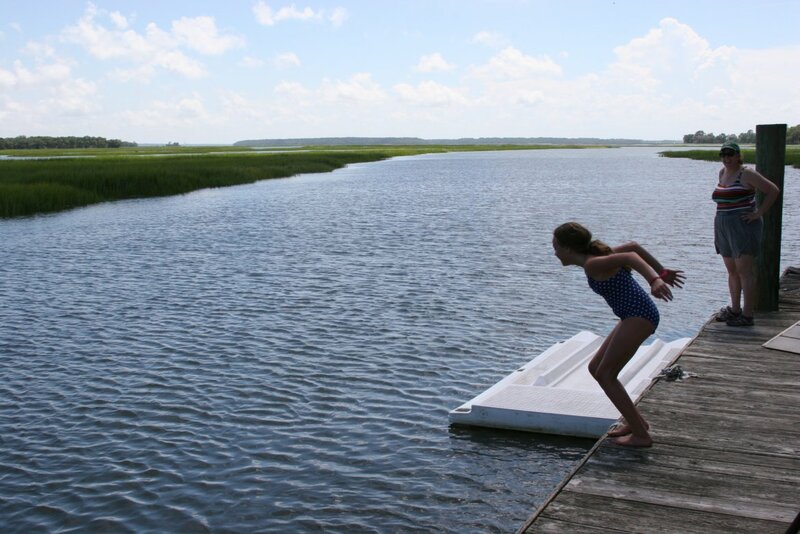 As you can see below, we share and teach with-in the same creek, Jarvis Creek.